We’re happy to offer online classes to students around the world. If you’re already in a class, you can access it in the sidebar to your right. Log in and click on the class/lesson that you’re in. If you want to join one of our new classes, look below! 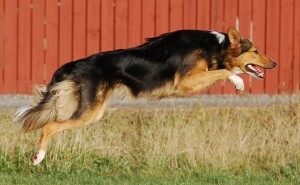 Jumping is an essential part of agility, as agility courses consist of mostly jumps. Good jumping skills will give you a stronger dog, more drive, better independence, less stress on the dog’s body, more efficient lines and less dropped bars. This online class takes you through the basic exercises as well as exercises tailored to your dog’s special needs. I will run this very popular class again this spring, with some updates that make training even more fun and efficient. It suits anyone who wants to teach or improve independent handling moves and build speed, confidence, and motivation. You’ll learn almost everything you need to get around any course. You’ll teach your dog verbal cues and handling techniques that work even if you’re not a fast runner. A new round of our popular foundation class starts on September 3rd. 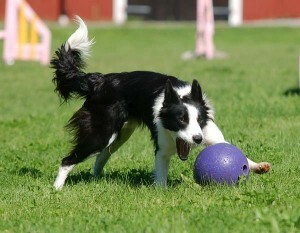 Become a better dog trainer. Learn how to develop great rewards, shaping skills, foundation behaviors, self-control for your dog, and much more. 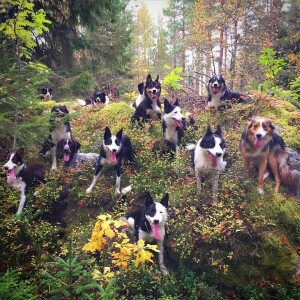 This class is great for dogs at any level.